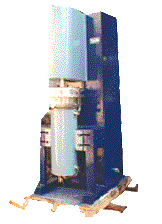 This type of sand mill consists of a Jacketed vessel of appropriate diameter. All the contact parts i.e.the rotating shaft, the disc and the inner shell of the Jacketed vessel consist of S.S.material. 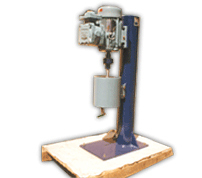 The output of the mill depends upon the capacity of the shell.The peripheral speed of the mill is between 12 m/s to 18 m/s depending on the size of the mill.